As usual Apple is slow to release any information about upcoming new features and exciting changes, fortunately we’re able to get quite a bit of information from Apple patent filings. This week Apple officially filed for a patent regarding a new 3D recognition system which has many Apple fans quite excited. 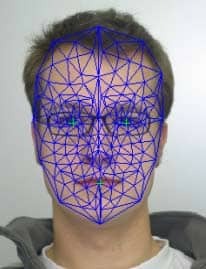 The patent details a very responsive and very in depth 3D recognition system that will likely be used as some sort of face recognition. It is meant to be a full 3D program which means it is going to be able to accurately and quickly measure depth from the screen to the object in as many as a few hundred data points which is quite promising. If Apple manages to make this into a well designed 3D recognition system it could lead to some very fun and very interesting 3rd party apps.